Sales of previously owned homes improved countywide in February from a particularly slow January, according to housing statistics compiled through the San Diego Multiple Listing Service by the Greater San Diego Association of REALTORS® (SDAR). 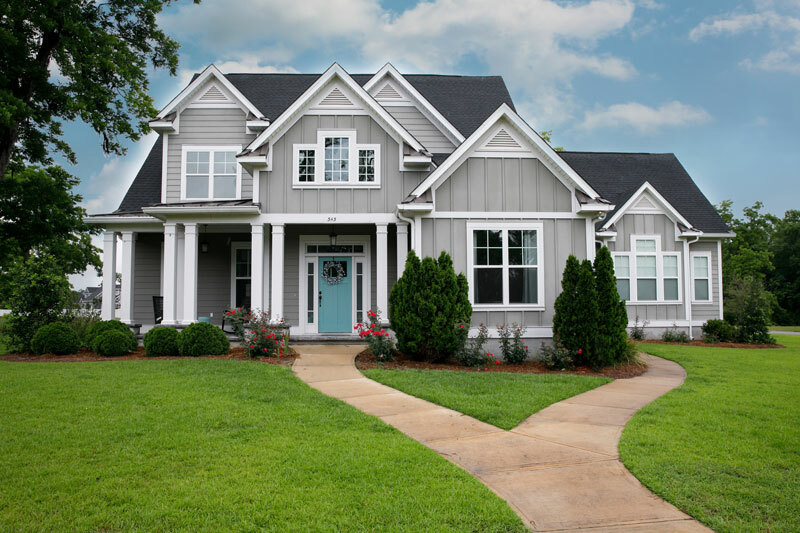 Single-family (detached) home sales rose more than 4 percent last month, while attached properties (condominiums and townhomes) experienced a healthy 14 percent increase in sales in February. Sales are down, however, compared to the same month last year: Detached homes sales were 13 percent lower and attached sales were 18 percent lower. The median price of homes also edged up, if only slightly. Single-family home prices increased more than 2 percent month-over-month, landing at $630,000. Condos and townhomes were up less than a percent from last month, and actually saw a 2 percent drop in the median price over February of last year, standing at $415,000. A bright spot is the fact that the supply of homes on the market compared to a year ago has increased 20 percent. 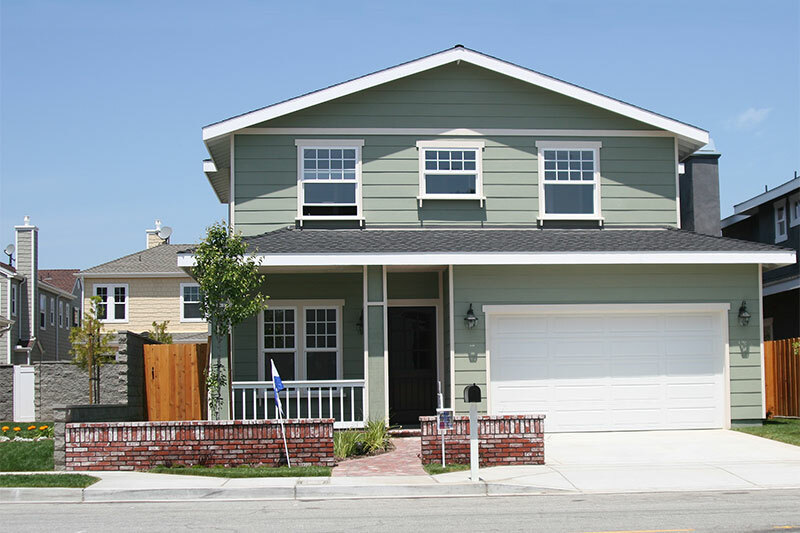 Sixteen single family homes in Scripps Ranch were sold in February. The homes averaged 22 days on the market in February. The median price of single-family homes sold in Scripps Ranch in February was $950,000. There were 10 attached homes (condominiums or townhomes) sold in Scripps Ranch in February. Attached homes were on the market in Scripps Ranch an average of 25 days in February. The median price of attached homes sold in Scripps Ranch in February was $505,625. The most expensive single-family property sold in February in San Diego County is a Hamptons-style home in Olde Del Mar, built in 2003, with 4,879 square feet, 4 bedrooms, 5 bathrooms, and a sale price of $10 million. 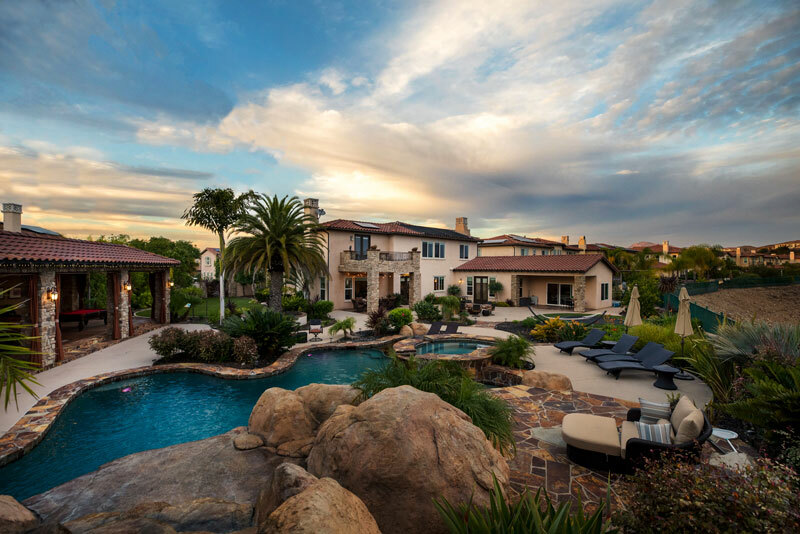 A multimillion-dollar Scripps Ranch dream house is the center of the 15th annual San Diego Dream House Raffle fundraiser benefiting Ronald McDonald House Charities of San Diego. 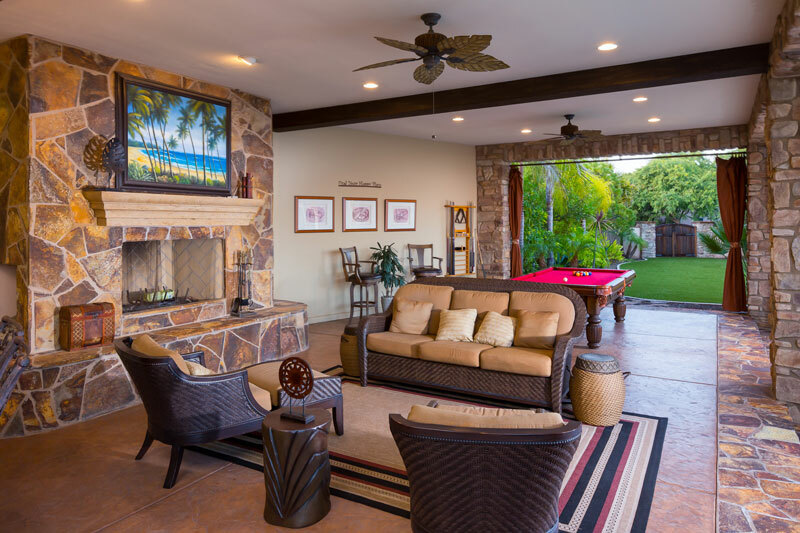 The Dream House Raffle raises funds for San Diego’s Ronald McDonald House, which provides a “home away from home” for families with a critically ill or injured child in a local hospital. Proceeds from the Dream House Raffle help the organization provide services, including lodging, meals and other programs that provide support to families as they care for their hospitalized child. This year’s 6,200-square-foot dream home features five bedrooms, five bathrooms, two half-baths and a resort-inspired backyard complete with a private beach-entry pool, grotto, waterslide, poolside cabana and in-ground trampoline. More than 1,000 total prizes are available through the raffle, including luxury cars, vacations and high-end technology. 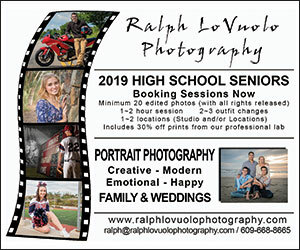 Tickets are available for purchase until April 12. Single ticket prices are $150, but there are also discounted multi-ticket packages, as well as add-on tickets available. By purchasing an add-on ticket with a single raffle ticket, the ticket purchaser is entered for a chance to win a weekly prize of $25,000 or one of eight premium prize packages such as a 2019 MINI Cooper Convertible and a trip to London. A list of all available prizes and ticket options is available at SDRaffle.com. 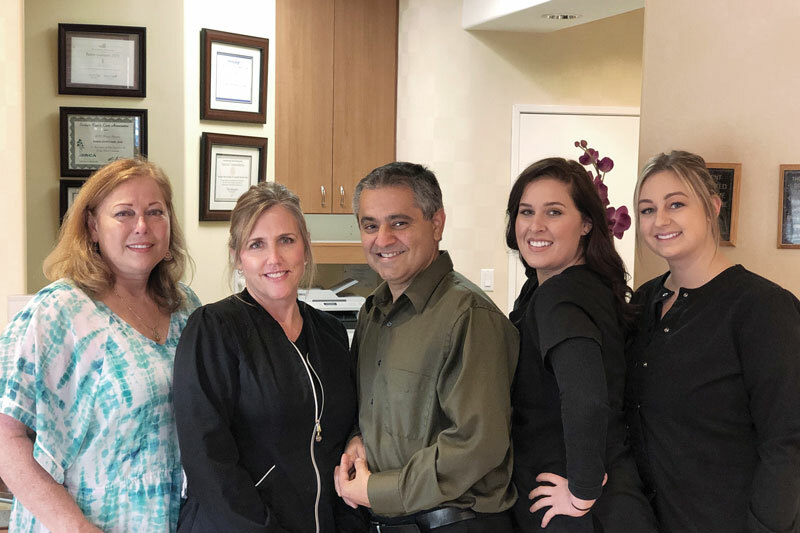 Founded in 1980, Ronald McDonald House Charities of San Diego provides a “home-away-from-home,” which keeps families close to one another and the care they need while their child is being treated for serious, often life-threatening conditions at local hospitals. San Diego’s Ronald McDonald House was specifically designed to provide the necessities of home – including 55 bedrooms, a kitchen and a children’s play area – to help strengthen families and bolster their psychological well-being during difficult times regardless of their situation or ability to pay. The Ronald McDonald House creates an emotional and physical sanctuary for nearly 15,000 family members each year. To learn more, visit rmhcsd.org. A dramatic reduction in inventory contributed to one of the slowest months for home sales this year across San Diego County, according to housing statistics compiled through the San Diego Multiple Listing Service by the Greater San Diego Association of Realtors® (SDAR). Single-family homes in the county last month were down more than 11 percent compared to November, and nearly 20 percent from December 2017. Condominium and townhome sales (attached) properties in December fell by more than 23 percent from the previous month, and 32 percent from a year ago. Sales of all previously owned properties were off by 10 percent in 2018 compared to 2017. The inventory of for-sale homes slumped by 15 percent over the past month, but for the year, there was an increase of nearly 37 percent more homes on the market. Median prices continued to beat their prior-year levels, with single-family homes ending 2018 at $625,000, and condos/townhomes reaching $419,000. Over the past year, prices of all existing properties saw an increase of more than 6 percent. 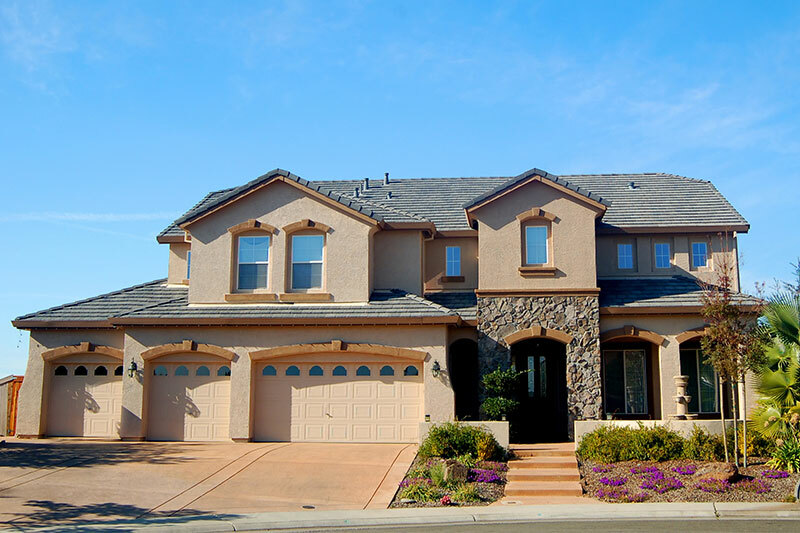 Fifteen single family homes in Scripps Ranch were sold in December. The homes averaged 50 days on the market in December. The median price of single-family homes sold in Scripps Ranch in December was $942,800. There were eight attached homes (condominiums or townhomes) sold in Scripps Ranch in December. Attached homes were on the market in Scripps Ranch an average of 28 days in December. The median price of attached homes sold in Scripps Ranch in December was $506,250. The most expensive single-family property sold in December in San Diego County is an ocean-view home in the La Jolla neighborhood of Lower Hermosa, built in 1939, with 9,700 square feet, 7 bedrooms, 10 bathrooms, and a sale price of $13.6 million. Sales of existing homes slumped in November 2018, according to housing statistics compiled through the San Diego Multiple Listing Service by the Greater San Diego Association of REALTORS® (SDAR). Single-family home sales in San Diego County slowed by more than 15 percent in November compared to October, and 19 percent from November 2017. Sales of condominiums and townhomes (attached properties) in November were down nearly 23 percent from the previous month, and 20 percent from a year ago. As 2018 wound down, sales of existing homes were off by nearly 10 percent compared to 2017. The median price of single-family homes edged up by 1 percent from October to November, standing at $635,000, while the price of condos and townhomes experienced a 5 percent drop in the median price from October, settling at $397,000. However, for the year to date, prices were still more than 6 percent higher than in 2017. Eighteen single family homes in Scripps Ranch were sold in November. The homes averaged 29 days on the market in November. The median price of single family homes sold in Scripps Ranch in November was $998,500. There were 14 attached homes (condominiums or townhomes) sold in Scripps Ranch in November. Attached homes were on the market in Scripps Ranch an average of 19 days in November. The median price of attached homes sold in Scripps Ranch in November was $488,000. The most expensive single-family property sold in November in San Diego County was an ocean-view home in the La Jolla Shores Terrace neighborhood, built in 2010, with 11,000 square feet, 6 bedrooms, 8 bathrooms, and a sale price of $8.725 million. Despite the competition in the resale home market, San Diego County saw a slowdown from rising prices in October, according to housing statistics compiled through the San Diego Multiple Listing Service by the Greater San Diego Association of REALTORS® (SDAR). Sales of previously owned homes in San Diego County saw a significant drop in numbers for September, according to housing statistics compiled through the Multiple Listing Service by the Greater San Diego Association of Realtors® (SDAR). Single-family home sales in San Diego County dropped 25 percent in September, compared to August, and were nearly 22 percent lower than the same month last year. Condominiums and townhomes similarly saw a 25 percent decrease last month and are down about 23 percent from September of last year. So far in 2018, resale home sales are off by 9 percent compared to the same nine months of 2017. Median prices, however, have continued to exhibit strength throughout the year. September single-family home sale prices reached $650,000 countywide, just slightly under August’s price, while condos and townhomes (attached) properties increased nearly 2 percent from the previous month, standing at $432,500. Collectively, prices are up about 7 percent from last year. In September, resale properties were closing escrow in an average of 30 days. 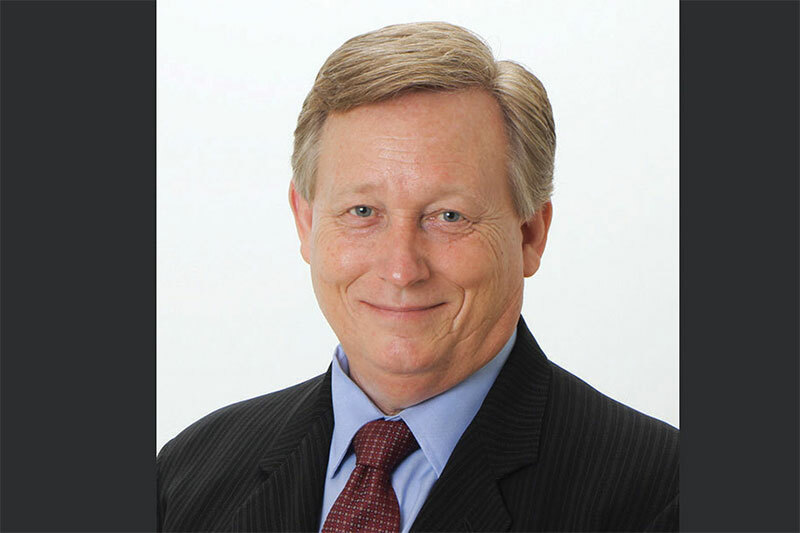 “I’m hopeful that residential sales will continue along a mostly positive line for the rest of the year, but it’s possible that rising prices and interest rates may factor into many home purchase decisions,” said SDAR President Steve Fraioli. Twelve single family homes in Scripps Ranch were sold in September, with 198 total sold so far in 2018. The homes averaged 22 days on the market in September and an average of 22 days on the market for the year 2018. The median price of single family homes sold in Scripps Ranch in September was $915,250 and the average median price is $965,000 for 2018 so far. That’s $13,500 more than September 2017, and the median price year to date for 2018 is $65,000 more than the median price for 2017 overall at this time last year. There were 14 attached homes (condominiums or townhomes) sold in Scripps Ranch last month, with 136 sold in 2018 year to date. Attached homes were on the market in Scripps Ranch an average of 14 days in September and an average of 14 days on the market for 2018 so far. The median price of attached homes sold in Scripps Ranch in September was $566,000 and the median price for 2018 so far year to date is $541,500. That’s $72,500 more than September 2017, and the median price for 2018 year to date is $76,500 more than the median price for 2017 at this time last year. The most expensive single-family property sold in September in San Diego County is a seaside gated estate on three acres in La Jolla Farms with its own lake. The home, built in 1996, is 14,200 square feet, with 7 bedrooms, 14 baths and a sale price of more than $16.2 million. Sales of previously owned homes in San Diego County pulled back in July, according to housing statistics compiled through the Multiple Listing Service by the Greater San Diego Association of Realtors® (SDAR). Resale single-family home purchases in the county were down 10 percent in July compared to June, and condominiums and townhomes (attached properties) were down more than 14 percent from the prior month. Compared to the same month last year, single-family home sales were down more than 6 percent, and condos/townhomes were down more than 12 percent. However, the number of homes for sale are up more than 11 percent from a year ago. 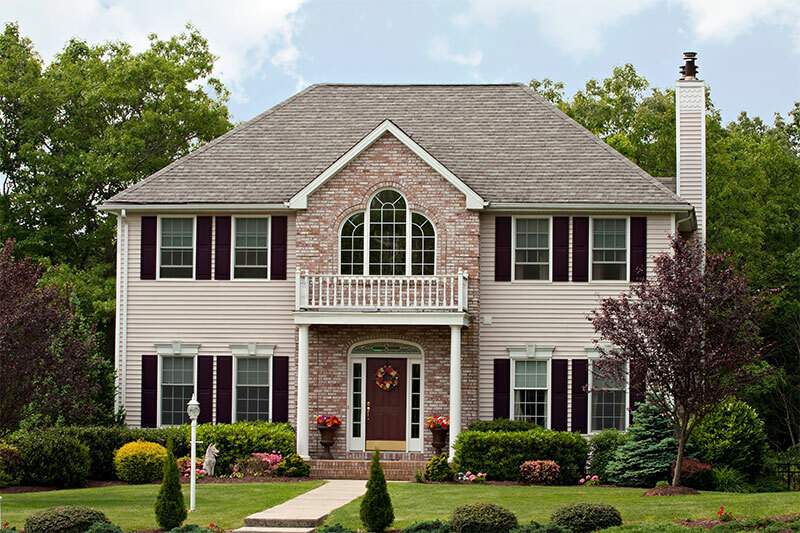 Prices continue to be the bright spot, at least for sellers. The median price of single-family homes reached $657,000 in July, up slightly from June, and the price of attached properties ($425,000) was up about 1 1/2 percent. 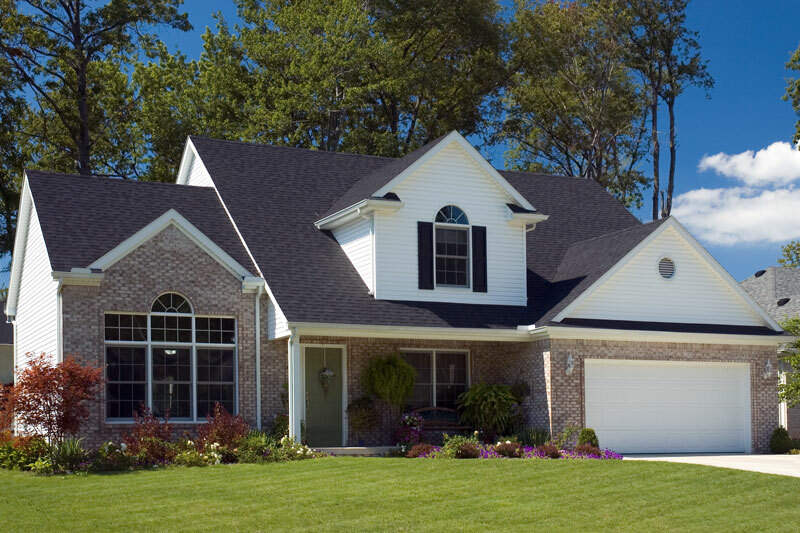 Prices of resale homes have increased a solid 7.5 percent from a year ago. Twenty-seven single family homes in Scripps Ranch were sold in July, with 149 total sold so far in 2018. The homes averaged 24 days on the market in July and an average of 21 days on the market for the year 2018. The median price of single family homes sold in Scripps Ranch in July was $990,000 and the average median price is $975,000 for 2018 so far. That’s $73,000 more than July 2017, and the median price year to date for 2018 is $75,000 more than the median price for 2017 overall at this time last year. 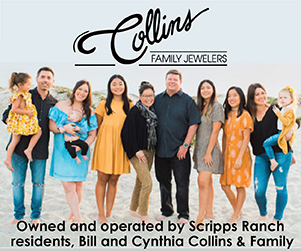 There were 20 attached homes (condominiums or townhomes) sold in Scripps Ranch last month, with 105 sold in 2018 year to date. Attached homes were on the market in Scripps Ranch an average of 15 days in July and an average of 13 days on the market for 2018 so far. The median price of attached homes sold in Scripps Ranch in July was $575,750 and the median price for 2018 so far year to date is $537,500. That’s $100,750 more than July 2017, and the median price for 2018 year to date is $72,500 more than the median price for 2017 at this time last year. The most expensive single-family property sold in San Diego County in July was a 6,000-square-foot historic 1926 Coronado mansion on Loma Avenue, with 4 bedrooms, 6 baths, and a sale price of $15 million. 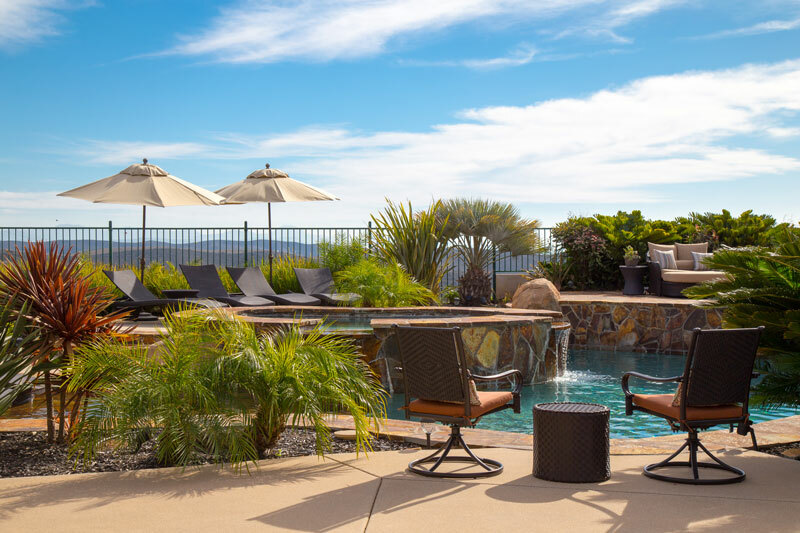 Prices of resale homes continued their record run in June, according to housing statistics compiled through the Multiple Listing Service by the Greater San Diego Association of Realtors®. Single-family home prices were up 2 percent month over month, hitting $655,000. That’s nearly 7 percent higher than a year ago. Condominiums and townhomes (all attached properties) edged up 1 percent in the past month, to $425,000, an increase of 4 percent from June of last year. For the first six months of the year, prices of all previously owned homes are up nearly 8 percent. The number of sales of single-family homes in June was down 2 percent from May, and significantly lower (17 percent) from June of 2017. Condo and townhome sales in June were down 3 percent month over month, and down 12 percent from June of last year. In June, resale properties were closing escrow in an average of only 25 days, reflecting the high competition among buyers and lack of properties on the market. Twenty-seven single family homes in Scripps Ranch were sold in June, with 122 total sold so far in 2018. The homes averaged 23 days on the market in June and an average of 21 days on the market for the year 2018. The median price of single family homes sold in Scripps Ranch in June was $990,000 and the average median price is $972,450 for 2018 so far. That’s $85,000 more than June 2017, and the median price year to date for 2018 is $75,450 more than the median price for 2017 overall at this time last year. There were 16 attached homes (condominiums or townhomes) sold in Scripps Ranch last month, with 83 sold in 2018 year to date. Attached homes were on the market in Scripps Ranch an average of 7 days in June and an average of 13 days on the market for 2018 so far. The median price of attached homes sold in Scripps Ranch in June was $502,500 and the median price for 2018 so far year to date is $530,000. That’s $25,000 more than June 2017, and the median price for 2018 year to date is $73,000 more than the median price for 2017 at this time last year. 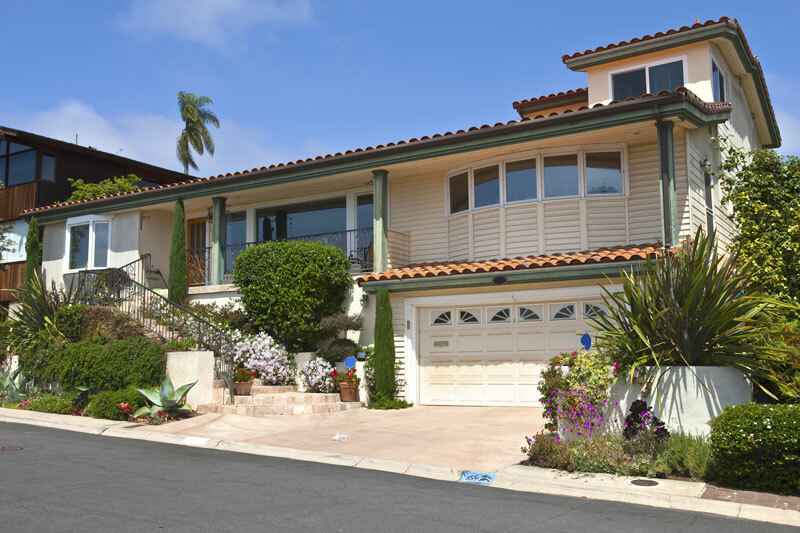 The most expensive single-family property sold in San Diego County in June was a 2,464-square-foot home in Del Mar with 50 feet of beachfront, built in 1963, 4 bedrooms, 4 baths, and sale price of $7.5 million. Can’t find the matching lid to your pot or pan? Just found an open box of cereal from 2014 at the back of the deep, narrow pantry? And where the heck Is your favorite spatula? One of the top requests from homeowners who are remodeling is for more storage. Sometimes that really means better storage, particularly in the kitchen. Many of the homes in Scripps Ranch have the original builders’ quality cabinetry that is inefficient: unusable corners, shallow drawers. Sound like a familiar story? Kitchen and cabinet designers are constantly coming up with solutions to make working in your kitchen easier and more functional. 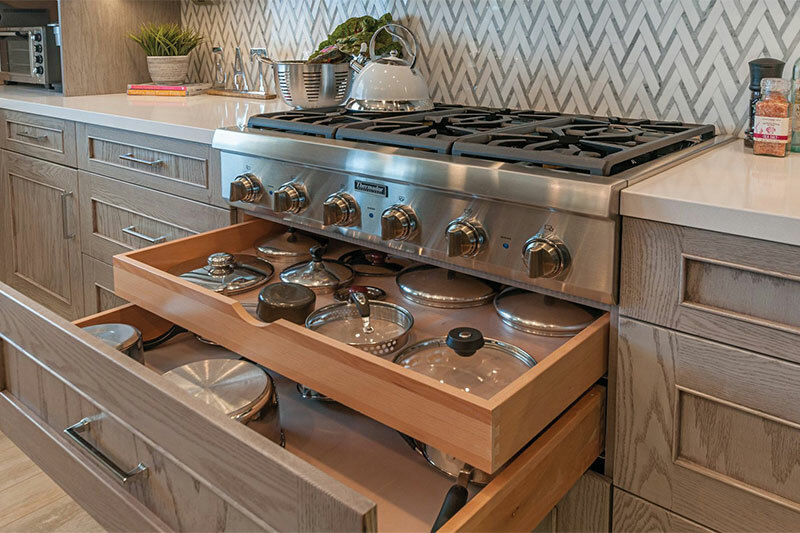 Pot/pan and lid double drawer: Tired of rummaging around for the right pan in a cabinet? Don’t even mention finding the matching lid! Deep double drawers help keep your stacks neat and accessible and the lids in check. Utensil drawer: This clever utensil pull-out keeps cooking tools conveniently at hand. 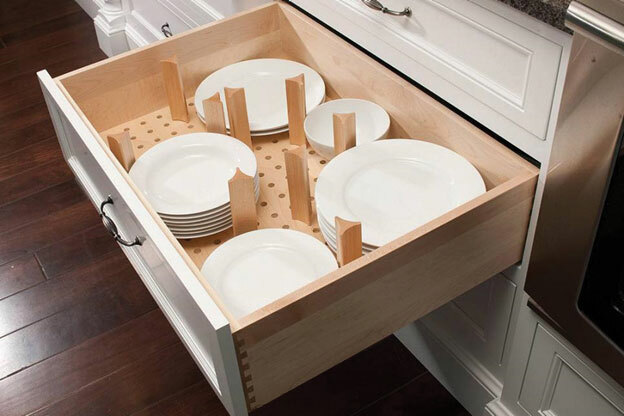 Dishware drawer: A peg system allows dishes to be placed in a base cabinet for easier lifting and organization. Sturdy slides under the drawer can support up to 150 pounds, so heavy plates are no problem. 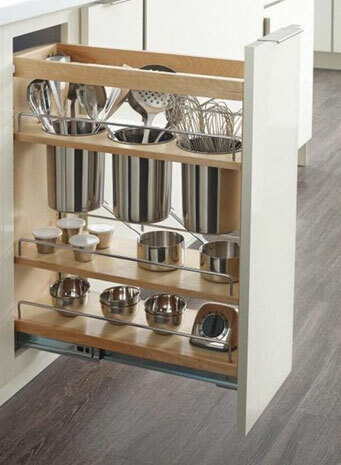 This can be located close to the dishwasher for ease of loading and unloading. Pantry pull outs: No space for a walk-in pantry? Losing food at the back of deep shelves? No problem. 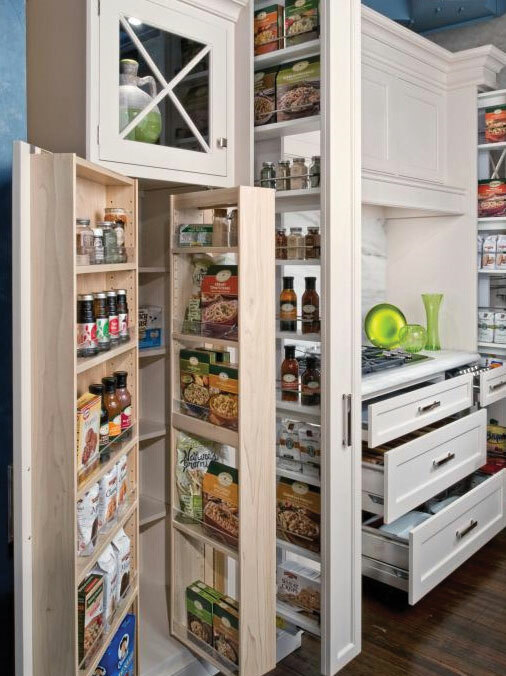 Tall pullouts and drawers/shelves of varying sizes allow for a variety of food storage needs. 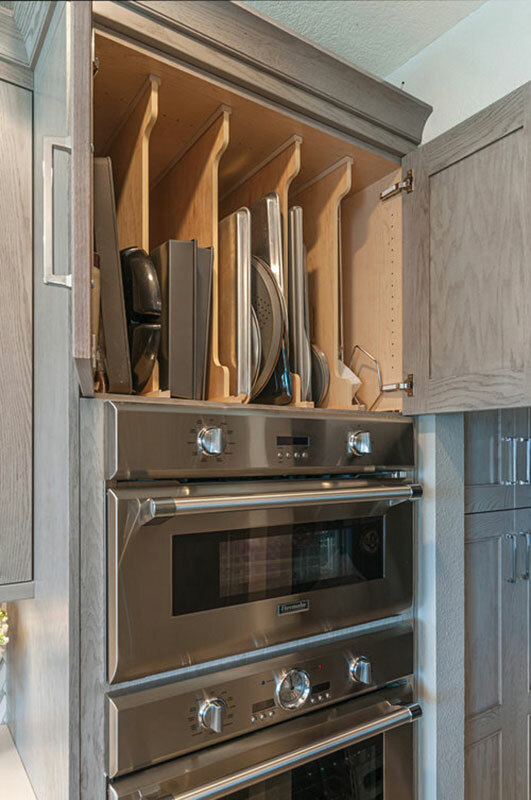 That weird space over the microwave or oven: What a great spot to store narrow items that you don’t want to stack such as platters, cookie sheets and other bakeware/serving dishes. A new kitchen can be a fun and exciting project. 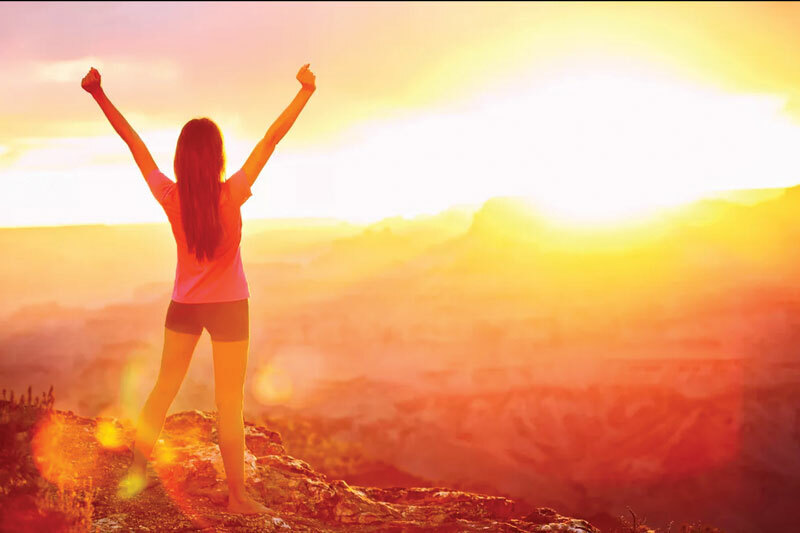 There are many great new products available and inspirational images are everywhere. 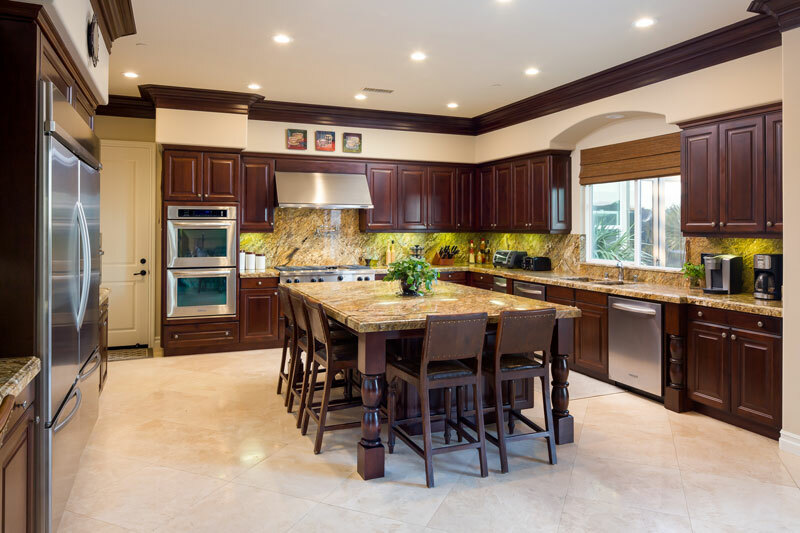 Maybe it’s time to evaluate your kitchen and develop a plan to turn it into a space that makes preparing meals a pleasure and frees you up to do more of what you love, like relaxing in your “California Room,” but that’s a story for another article! 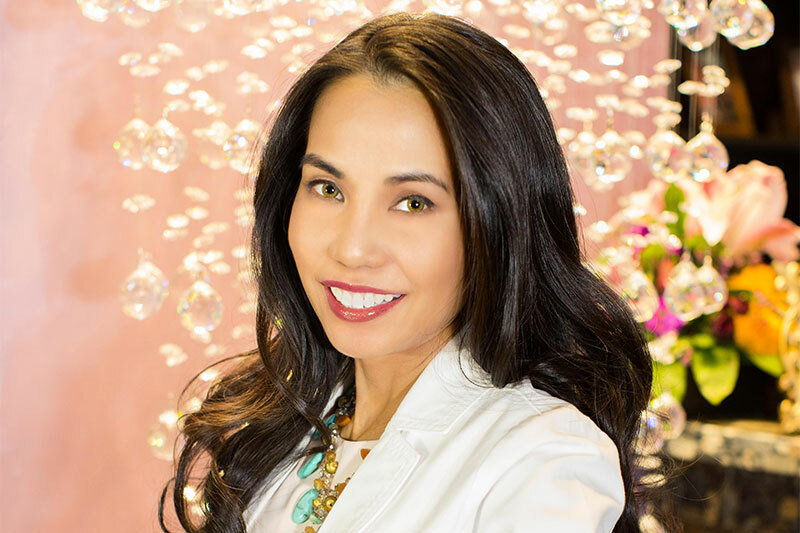 Fiona Klerekoper is a long-time resident of Scripps Ranch and is the principal and designer at FDK Design. 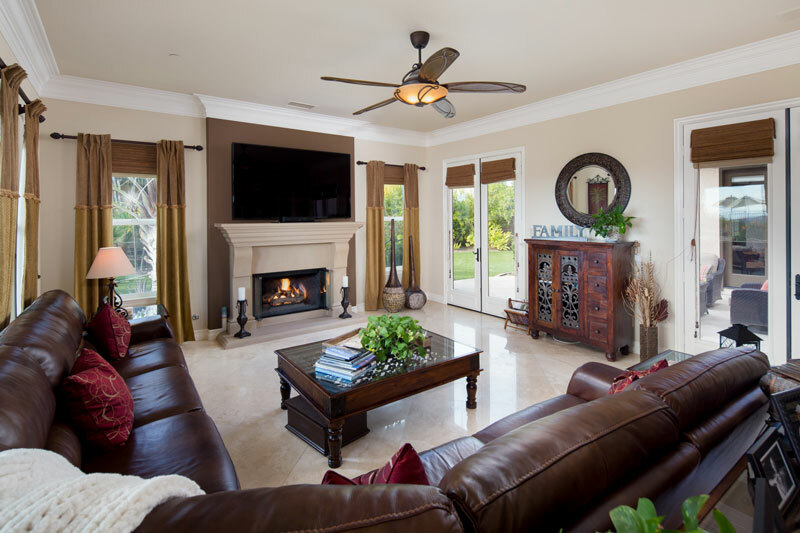 Based in San Diego, FDK Design is an award-winning interior design studio, serving clients locally (Scripps Ranch) and beyond. 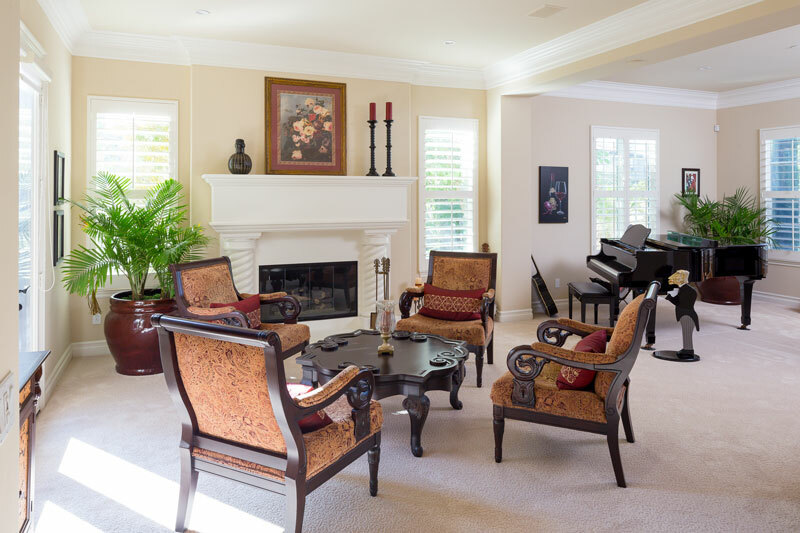 It offers a full range of interior design services, with a specialty in kitchen and bath design. For more information, call (858) 945-2867 or fiona@fdkdesign.com. Single-family home prices in San Diego County hit a record high in May, according to housing statistics compiled through the Multiple Listing Service by the Greater San Diego Association of REALTORS®. The median price for single-family (detached) homes was $650,000 in May. Attached properties (condominiums and townhomes) settled at a median price of $421,000 last month, just under their record price set in April. Overall, home prices have seen a year-over-year increase of 6.5 percent for all resale properties. Single-family home sales in May increased by 5 percent over April, while sales of condos and townhomes rose by just over 2 percent. For the year to date 2018, however, sales of existing homes are down nearly 8 percent over last year. San Diego homes continue to be scooped up soon after they go on the market. In May, single-family homes were closing escrow in an average of only 26 days, while attached properties were closing in only 21 days. Twenty-four single family homes in Scripps Ranch were sold in May, with 94 total sold so far in 2018. The homes averaged 24 days on the market in May and an average of 20 days on the market for the year 2018. The median price of single family homes sold in Scripps Ranch in May was $874,000 and the average median price is $934,500 for 2018 so far. That’s $23,000 less than May 2017, but the median price year to date for 2018 is $39,500 more than the median price for 2017 overall at this time last year. There were 12 attached homes (condominiums or townhomes) sold in Scripps Ranch last month, with 66 sold in 2018 year to date. Attached homes were on the market in Scripps Ranch an average of 7 days in May and an average of 15 days on the market for 2018 so far. The median price of attached homes sold in Scripps Ranch in May was $619,000 and the median price for 2018 so far year to date is $530,000. That’s a whopping $141,500 more than May 2017, and the median price for 2018 year to date is $82,500 more than the median price for 2017 at this time last year. 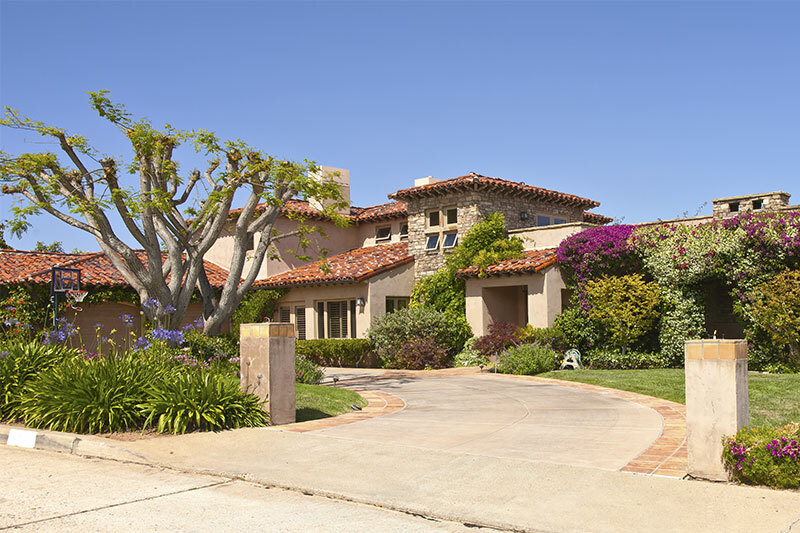 The most expensive single-family property sold in San Diego County in May was a half-acre oceanfront home in the Beach Colony neighborhood of Del Mar, built in 1982, with more than 4,600 square feet, 4 bedrooms, 5 baths, a guest cottage and a sale price of $16.5 million. 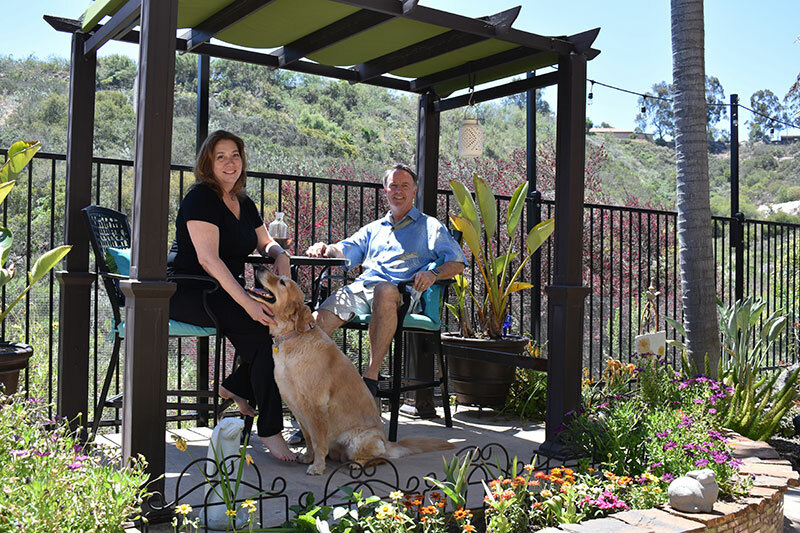 Ken and Jennifer Bickel have resided in their northern Scripps Ranch house since 1997, and they have made several impressive additions to their home. They have recently been enjoying the many options provided by the addition of a DIY wooden gazebo. 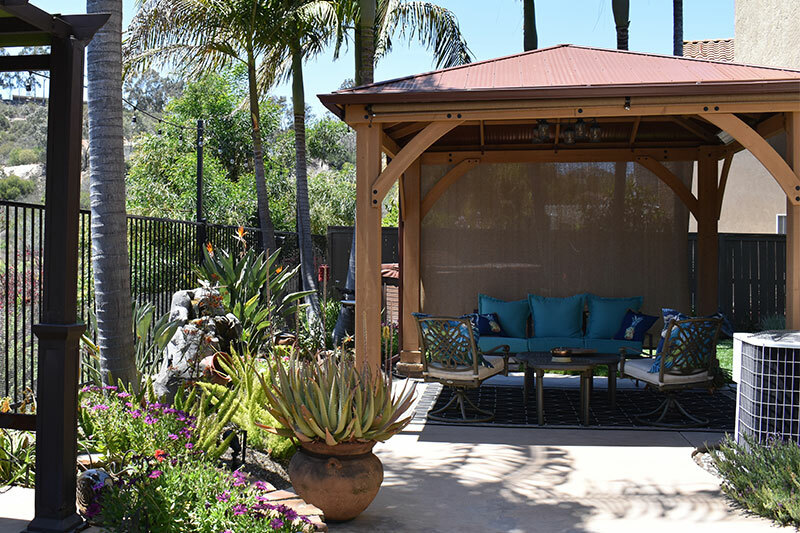 The square-shaped wooden gazebo is situated near their back door and serves as an outdoor living area. An outdoor couch sits within, along with a few chairs. A special indoor-outdoor rug is both mold- and mildew-free. 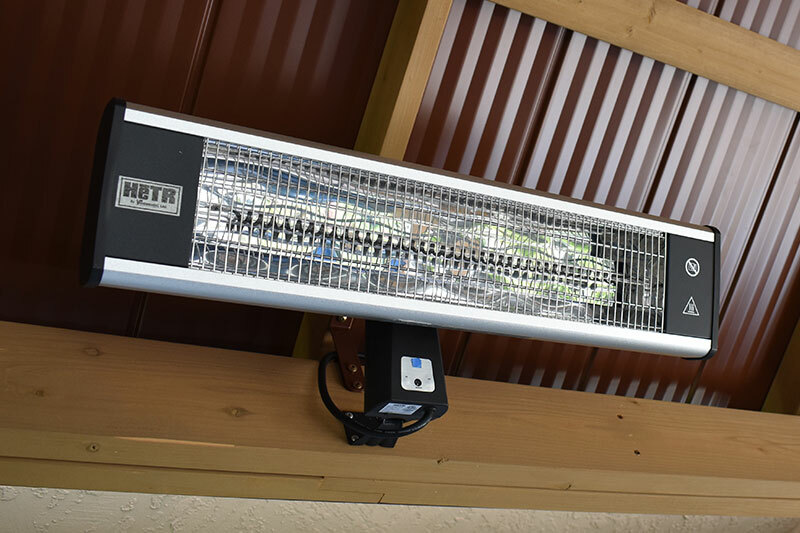 Chandelier lighting has been installed in the center and an outdoor heater gives warmth on those cooler nights. The color of the lighting can be adjusted to set any mood. Ken added rain gutters and shades that can be rolled down on three sides, providing both shade and insulation. 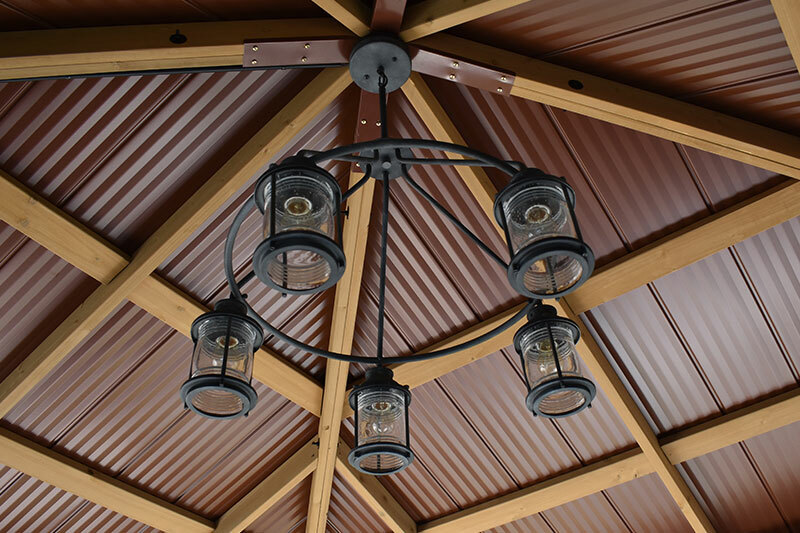 They help retain warm air on cold days and the family has already been able to sit inside the gazebo to enjoy an occasional rain storm. 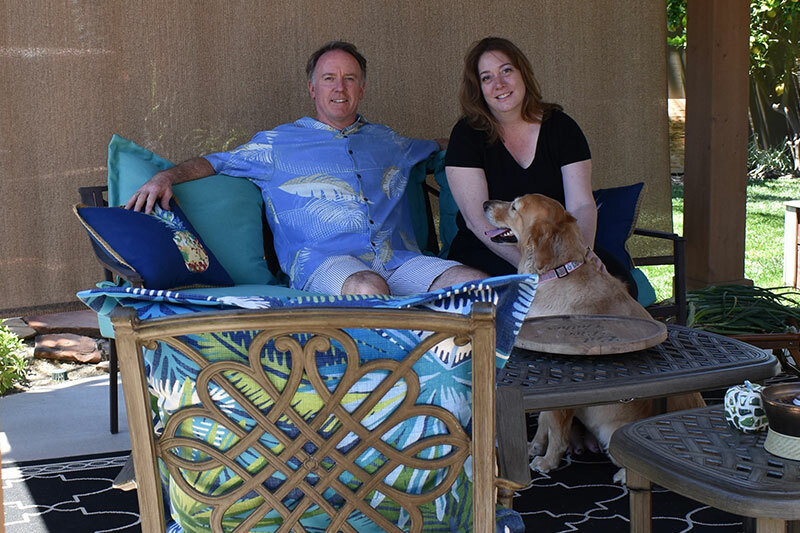 They purchased the gazebo kit from Costco and Ken, with the help of their 13-year-old son, Colin, put the project together. It’s pre-cut, pre-drilled. Everything came with it; all the pieces you need, all the screws. It took about 12 hours to assemble it,” Ken explained. “They did it in several days. It took over a week, a couple of weeks,” Jennifer added. The new gazebo is perfect for family gatherings as well as entertaining guests. 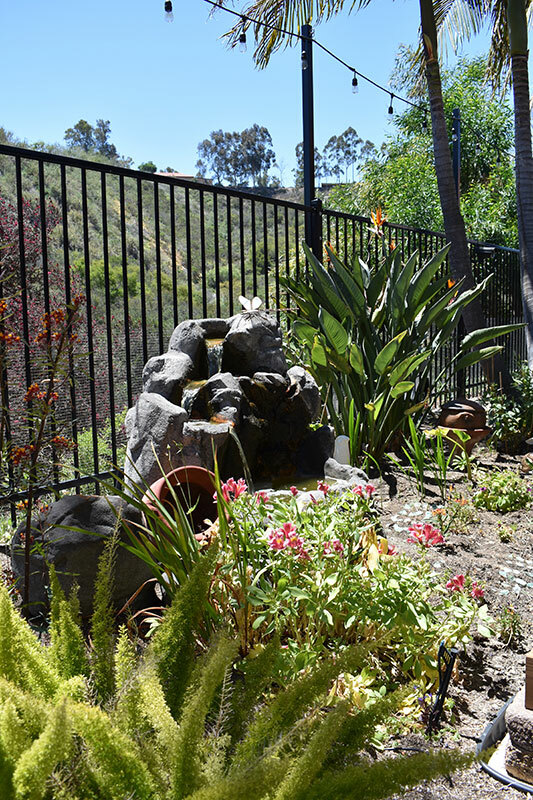 It’s a pleasant addition to their backyard which is bursting with a colorful garden along the back fence overlooking a canyon. The back garden is highlighted by a babbling fountain and a smaller metal gazebo with a bistro set which provides a different vantage point. One corner of the back yard has a hot tub. A peek around the corner reveals a wide strip of grass, bushes and citrus trees. Raised garden boxes alongside the house are watered by a drip line on a timer and filled with plants. 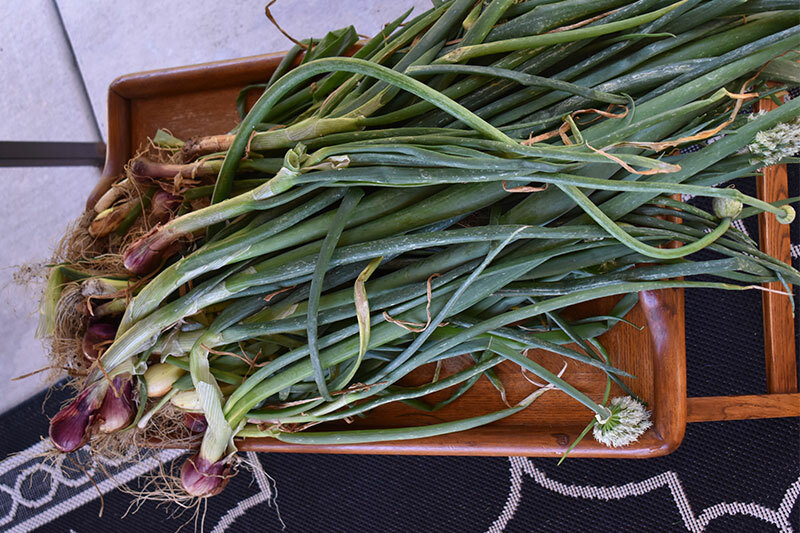 Meanwhile, a bouquet of freshly-picked onions from the garden sat upon a wooden tray within the new gazebo, further accenting this colorful, livable and thriving backyard. April home sales in San Diego County saw a slight increase over March, according to housing statistics compiled through the Multiple Listing Service by the Greater San Diego Association of Realtors®. Single-family home sales ticked up 4 percent in the past month, and attached properties (condos and townhomes) rose by nearly 3 percent. However, sales for the first four months of the year are still lower than the same period last year by 7 percent. The median price of single-family homes edged up 1 percent from March to April, now standing at $640,000. That’s an increase of more than 8 percent from April of 2017. Condo and townhome prices rose by 4 percent month over month, and have reached a record high mark of $425,000; that’s 10 percent higher than a year ago. All properties taken together, the year-to-date median price of homes in San Diego County is $551,000. The supply of resale properties on the market edged up slightly to 1.9 months, with five to six months being considered a healthy level. Homes were selling in April in an average of only 25 days. Fifteen single family homes in Scripps Ranch were sold in April, with 69 total sold in the first four months of 2018. The homes averaged 14 days on the market in April and an average of 19 days on the market for the year 2018. The median price of single family homes sold in Scripps Ranch in April was $1 million and the average median price is $980,000 for 2018 so far. That’s $75,000 more than April 2017. There were 15 attached homes (condominiums or townhomes) sold in Scripps Ranch in April, with 54 sold in 2018 year to date. Attached homes were on the market in Scripps Ranch an average of 24 days in April and an average of 16 days on the market for 2018 so far. The median price of attached homes sold in Scripps Ranch in April was $520,000 and the median price for 2018 so far is $530,000. That’s $57,500 more than April 2017. The most expensive single-family property sold in San Diego County in April was an oceanfront home in Del Mar, built in 2010, with nearly 3,900 square feet, 4 bedrooms, 5 baths, a private courtyard with pool, spa and built-in barbecue, and a sale price of $18 million.